Regulators and government keep covering for large corporations' failures. After yet another stitch up, accounting expert Prem Sikka is calling it out. There’s no easy way of saying it: political corruption is endemic in the UK. Regulatory bodies and government departments resemble protection rackets with one aim: to protect elites and corporations from retribution – and prevent parliament from developing effective laws. We’ve just seen the latest example. The Financial Conduct Authority (FCA), the UK’s banking regulator, has just refused to publish its 361-page report on misconduct at the state-controlled Royal Bank of Scotland (RBS). 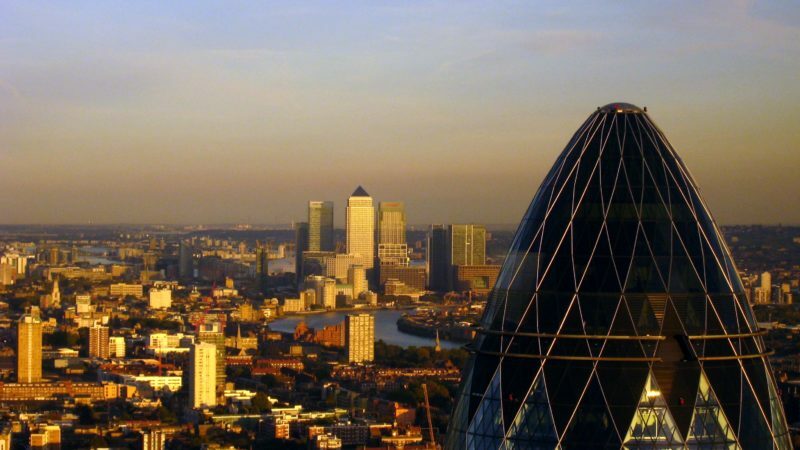 The FCA investigation was prompted by the Tomlinson Report published in November 2013, which showed that instead to rescuing struggling businesses, banks made money by asset-stripping and destroying them. This was followed-up an investigation by the FCA and in November 2016 it published what purported to be a summary of its full report. Subsequently, the BBC obtained a leaked version of the report. It referred to “inappropriate action” by RBS’s Global Restructuring Group (GRG) against struggling businesses. The group was supposed to nurse them back to health. Instead, the inappropriate action experienced by 92% of the businesses included complex loans, higher interest rates, and unnecessary fees. Businesses could not easily return to good health. For the period 2013-2015, GRG handled 16,000 companies – and about 10% survived. Many ended up in administration and liquidation, with their assets were sold cheaply. RBS has set aside around £400 million to deal with possible claims. The secret FCA report is not only an indictment of RBS, but also of other banks, accountants and lawyers who have long feasted on small businesses. Now, after some arm-twisting, the FCA has agreed to permit a lawyer advising the House of Commons Treasury Committee to compare a summary of the report. This is not good enough. People are entitled to see the full scale of the scandal, and remedial legislation cannot be drafted without sight of the whole report. Yet the regulator’s impulse is to shield RBS and its accomplices. 1. The Financial Reporting Council, the accounting and corporate governance watchdog, recently abandoned its investigation of the 2007 audit of HBOS, a bank that was bailed out by taxpayers. This was swiftly followed by the abandonment of an investigation into PricewaterhouseCoopers – who allegedly lapsed in reporting Barclays Bank’s compliance with rules on client assets. 2. Hearings by the Public Accounts Committee (PAC) showed that major corporations such as Google, Starbucks, Microsoft, Amazon and others used complex corporate structures to shift profits and avoid UK corporation tax. This was not followed by any government-led investigation, or even one test case. Former Chancellor George Osborne said that tax avoidance and evasion was ‘morally repugnant‘. Yet he did little to tackle it. 3. The information provided by a former employee showed that HSBC’s Swiss operations turned a blind eye to illegal activities of arms dealers, and helped wealthy people evade taxes. Only one individual from the list of some 3,600 potential UK tax evaders has been prosecuted. In January 2016, HMRC abandoned its criminal investigation. 4. In April 2016, a leak relating to Panama law firm Mossack Fonseca, known as the Panama Papers, revealed that thousands of UK companies, banks, accountants, lawyers and wealthy individuals are involved in organised tax avoidance and evasion. Last week, a Minister told parliament that so far there have been four arrests and no prosecutions. No doubt, it will all be quietly abandoned soon. Imagine what the government would do in eighteen months to allegations of major benefit fraud. 5. Shell companies provide secrecy to perpetrators of organised crime, sanction busting, tax avoidance, illicit arms trade and human trafficking. Italian Mafia formed companies in the UK and said that one of its directors was named “The Chicken Thief”, with the occupation “fraudster”. He was listed as resident at “The Street of 40 thieves” in the town of “Ali Babba”. Companies House accepted this information for years. When asked to investigate, the Business Secretary told parliament that “No action has been taken at this time against the promoters and officers of Magnolia Fundaction UK Ltd for filing inappropriate information in Italian at Companies House”. 6. The Companies Act 2006 contains strict rules about payment of dividends. In order to pay dividends companies must have sufficient distributable profits and auditors are required to check the calculations. Domino’s Pizza, Dunelm and stockbroker Hargreaves Lansdown have admitted to paying illegal dividends, with some violations going back to the year 2000. The payment of illegal dividends can have severe consequences for employees, creditors, pension scheme members and creditors. When asked to investigate, the Business Secretary, ultimately responsible for enforcing company law, told parliament that “The Department is not responsible for carrying out checks on dividends paid by companies to ensure that they do not exceed their distributable reserves”. Then who is? Government departments and regulators use the garbs of democracy and regulation to disarm people whilst running rackets to protect elites and big business. The cost of this cartel is loss of confidence in our institutions of democracy, lower tax revenues, and cuts in healthcare, pensions, education and infrastructure spend. We can’t afford this racket. Remember, the Tories have doubled the debts. That’s why Corbyn is bonkers. The idea of doubling up on the debts just screws the young, which is why Labour wants to hide the extent of debts from the public. But what the heck, lets talk small stuff. It’s a distraction. I believe Prem has nailed it. Here in North America it is also becoming clearer that the greatest economic drains on society come from lawless banking, investment dealers, accountants and regulators. It is the regulators who are earning untold millions (paid by those they regulate) to ‘insulate’ the billion dollar crimes from accountability. Two examples: Top four investment regulators in Canada (Alberta ASC, BCSC, Ontario OSC, and Quebec) pay 1/4 Billion in salaries to ‘look away’ from the criminal fraud of 120k fake or falsely registered investment “advisors” in Canada. Millions of investors harmed, or rather “farmed”. In the USA, FINRA a supposed regulatory body sits on $2 billion (with a B) in cash, while up to 600k falsified “advisors” prey upon American investors. The issue of regulators as highly paid handmaidens to financial crime is coming clearer every day. This is very interesting. There is a deeper reality, that the UK civil service is totally in thrall to vested interests. I know its not new, Private Eye has been reporting it for years, but few people realise how deeply embedded this culture is. It is this that gives me pause about Labour plans to greatly extend the reach of the public sector. It is not simply left wing and virtuous. In reality its deeply infiltrated by the Masons, and run for the benefit of the old boys golf course club. As a working class upstart who got screwed over and forced out, under Labour Ministers, I know of what I speak. Pay As You Go schemes are intended to be balanced, in the sense that broadly equal amounts are paid and out over time. Quoting liability figures is misleading unless amounts received are included; also the amount questionable assumptions. PAYG includes both NI and some of the public sector pension schemes. In the case of NI, the scheme has usually generated a surplus, well above the necessary reserve amount. The surplus has been ‘borrowed’ by governments for current use. The figures are regularly reported by the Govt Actuary. It is even more misleading to suggest that NI ‘screws the young’. All age groups have paid into NI, and NI payouts of various kinds are made at all ages too. It is true that the main transfers are to those over state pension age, but it is older people who have made contributions for the longest time. to maintain the viability of the scheme in the context of gradually rising average life expectancy. One can argue that in detail there have been some injustices in the NI scheme. For example married people have benefited relative to unmarried, since spouses have been entitled to 60% of their partners state pension even if they have paid no contributions. Survivors have also benefitted. Cohabitees have no such rights and for many years there were no carer credits in NI to compensate for years caring for others, mainly young children. Another question is whether it is fair that their is an Upper Earnings Limit, above which contributions are 2% instead of 12%. But overall, NI has been fair between generations. Recent changes in SPA Have been unfair to a particular cohort of women, born in the 1950s and the new Single Tier Pension is somewhat more generous to current new retirees than to future. Price Waterhouse Coopers in cahoots with Eversheds and the Insolvency Service are running scam bankruptcies, they are not following regulations and instructions as laid out in the Insolvency Act. Reports are not being compiled, accounting is minuscule, try complaining to the IS and you just get run round in circles finally relying on that wonderful “discretion”. Every bankruptcy is to be reported on to the Official Receiver, the court making the order, the creditors, the Secretary of State for Business and the bankrupt – individual or company. HM Courts rules for length of time to keep records is 20 years in bankruptcies, records are being destroyed after 7 years. This must be proof that a massive scam is being perpetrated throughout the establishment. Should anyone wish to doubt my words, please ask for the proof. Further more, how can it not be questionable when Eversheds act for most of the banks as well as for PWC and, presumably for other insolvency practitioners. Conflict of interest springs to mind, may I propose a group action against the Insolvency Service, PWC, Eversheds and any number of banks for obtaining bankruptcy orders by deception/fraud. By the way, when Dr Cable was Secretary of State he did absolutely nothing about complaints made to him, and I know that former Secs of State have treated complaints with the same cavalier attitude. The media are now saying that millions of people are not paying into pension funds, not surprising really when the establishment has shown itself to be woefully lacking in trustworthiness.